That's it! 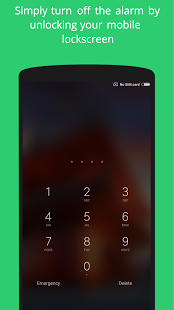 Now, You will get notified through an alarm if any mobile thief takes the mobile out of your pants pocket. 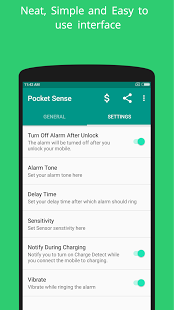 You can turn off the alarm simply by unlocking the mobile or by turning off the pocket sense mode. 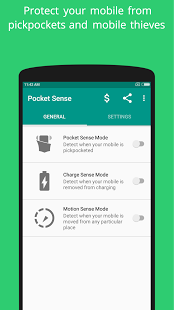 â­ Pocket Sense Mode - Notifies you through an alarm if someone takes the mobile out of your pockets. â­ Charge Sense Mode - Notifies you through an alarm if someone disconnects your mobile from charging. 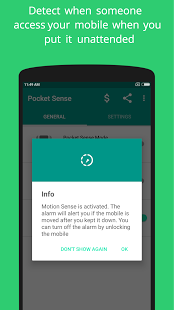 â­ Motion Sense Mode - Notifies you through an alarm if someone accesses the mobile from where you placed it. 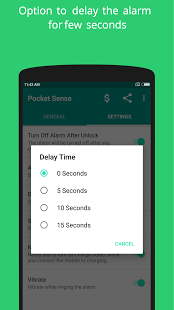 â­ You can delay the alarm for few seconds to stop getting triggered instantly.